The Camel Trail starts at pretty Python Pool, and is an eight kilometres, three hour (one way) moderate walk following part of the old camel road. This Top Trail winds up the rugged sandstone escarpment of the Chichester Ranges, through rolling Spinifex covered hills, large termite mounds and passing McKenzie Spring before heading to the base of Mount Herbert. 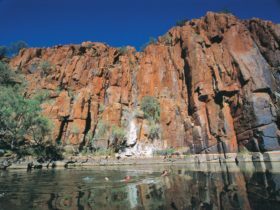 With fewer visitors and less facilities than near by Karijini National Park, the Chichester Ranges are remote and spectacular. 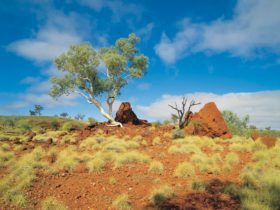 A walk along this amazing heritage trail in the early morning showcases a beautiful landscape of colour changes and is an opportunity to discover some iconic Pilbara wildflowers, such as Sturt’s desert pea, mulla mulla’s and the holly leafed grevillea. 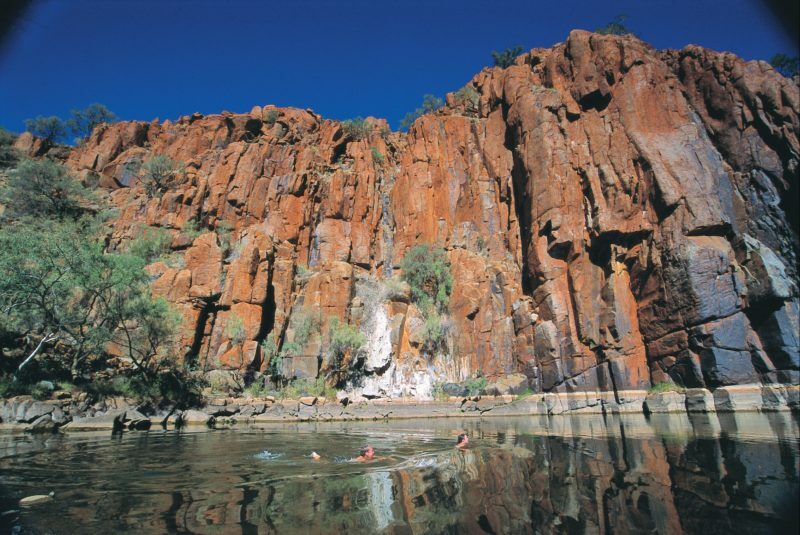 Python Pool is a permanent water hole (perfect for a swim) surrounded by shear red rock walls. From the car park, follow the trail leading to the pool, then turn left and follow the steep trail up the escarpment. Look back for stunning views of the coastal plain. 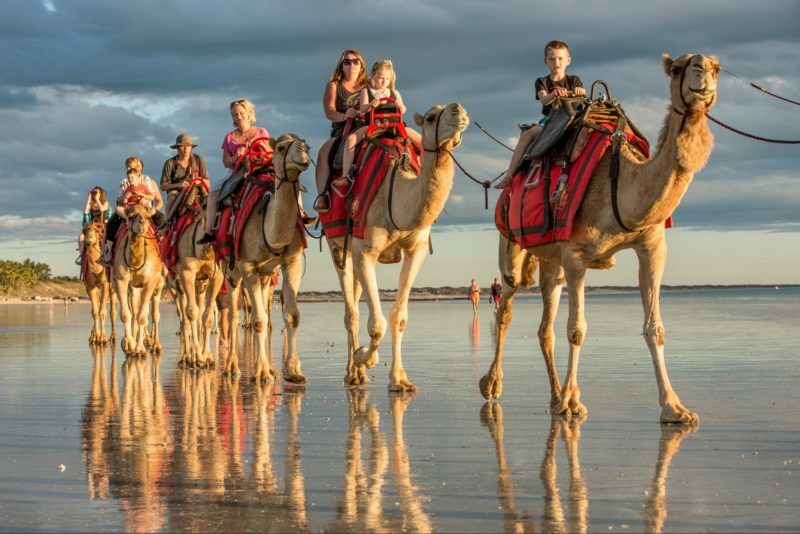 Vehicle with more than 12 occupants but not on a commercial tour: AUD6 per occupant (6 years or older) and Concession Fee of AUD2 per occupant. Motorcycle: AUD7 per motorcycle.